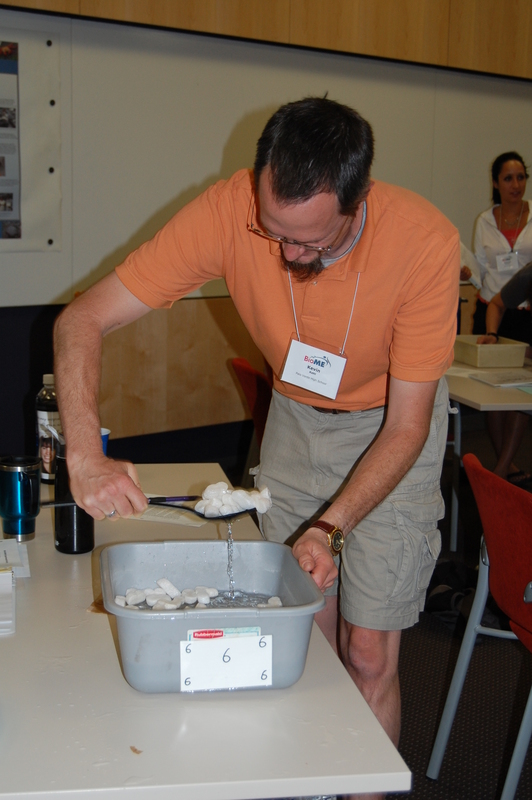 BioME Teacher Kevin Kehl, tries to get as much food as possible using his "beak" during the bird beak evolution activity. 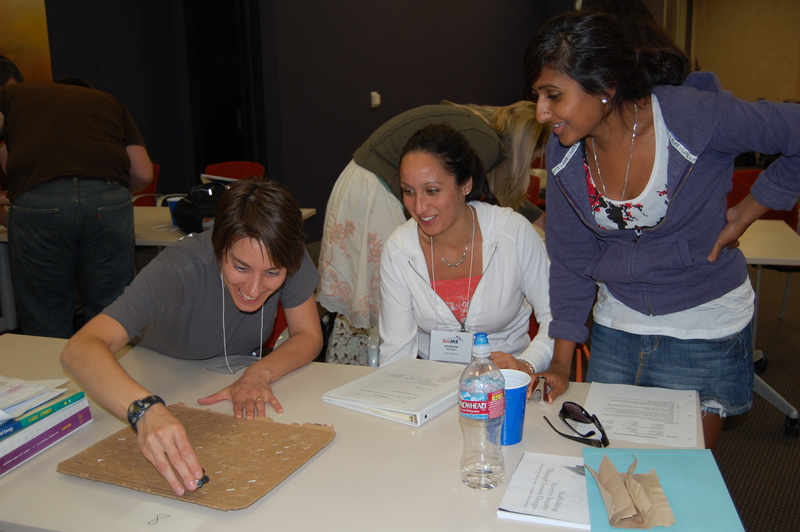 BioME Teacher Rebecca Lipson and BioME fellows Victoria Miranda and Stuti Jaiswal test the effectiveness of their "beak" during a bird beak evolution activity. 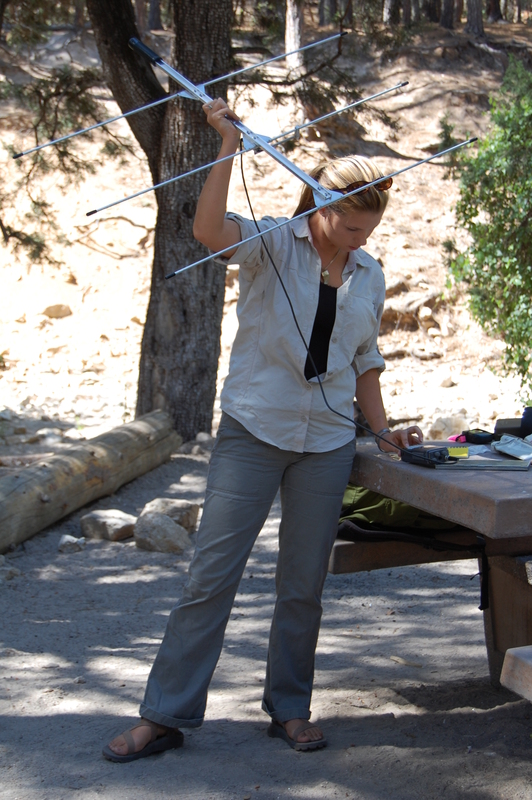 BioME Fellow Aletris Neils listens for a radio-collared mountain lion during a demonstration of her research on large cats. 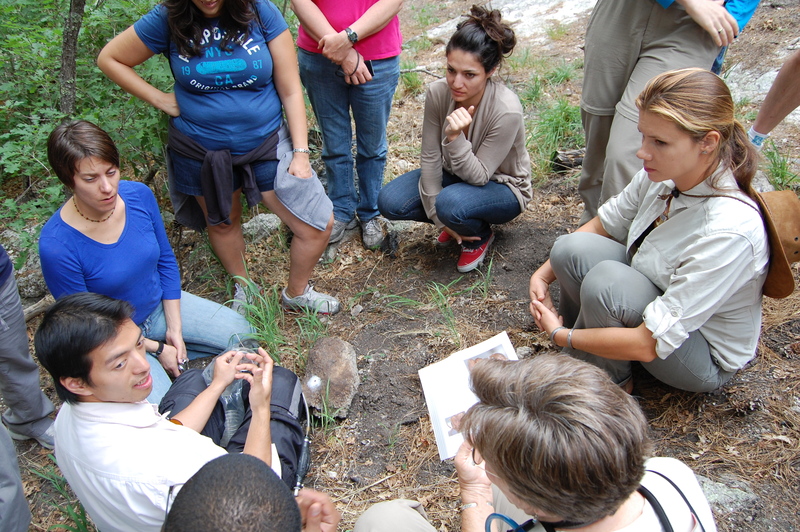 BioME Fellow Ming Huang teaches the group about an ant colony found on Mt. Lemmon. 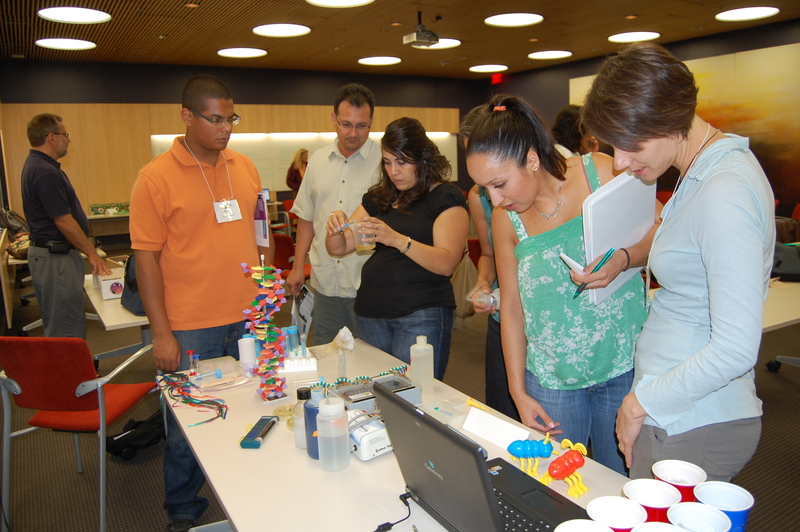 BioME Teachers and Fellows from Mansfeld Middle School and Miles Exploratory Learning Center check out the resources available to them through the BIOTECH Project. 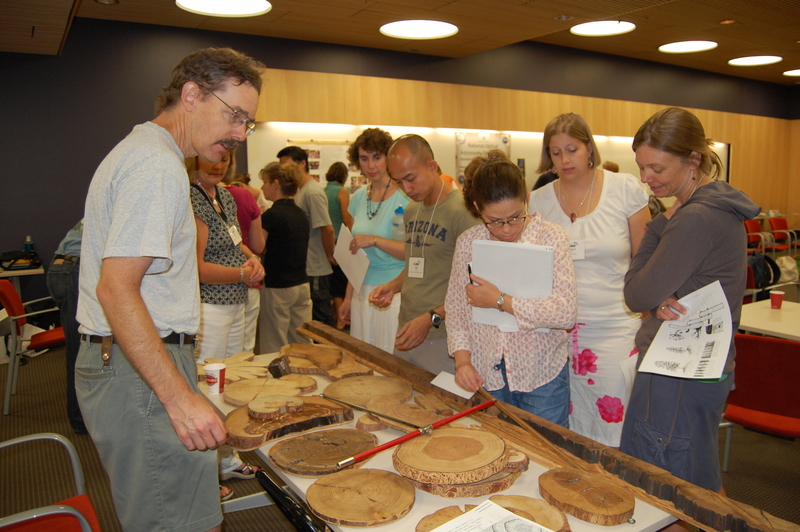 Teachers and Fellows browse resources and tree samples from the Laboratory of Tree Ring Research. 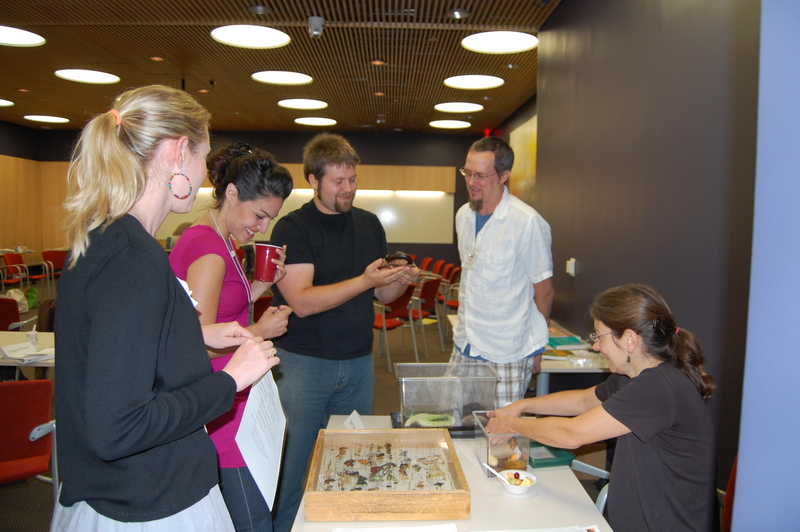 BioME Teachers Kevin Kehl and Anna Heyer, along with their Graduate Fellow partners Bryan Helm and Rachel Zenuk, examine the Insect Discovery booth at the Summer Institute resource fair. 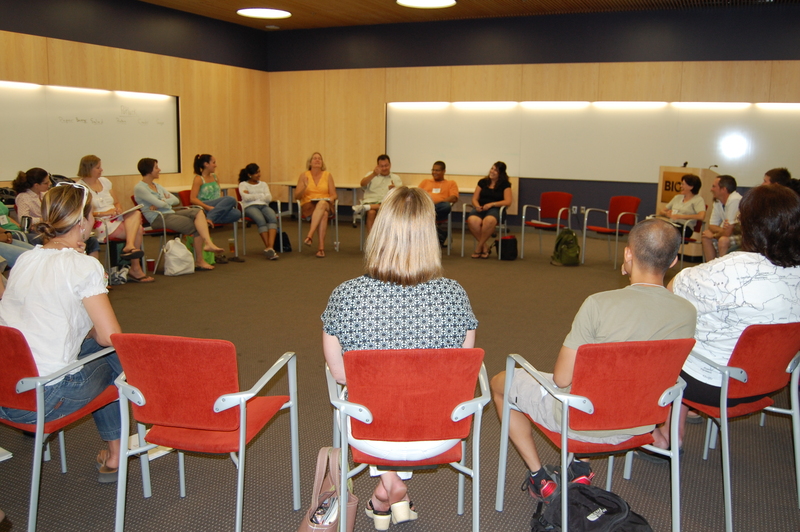 Participants have a large group discussion to share their experiences at the end of the week.